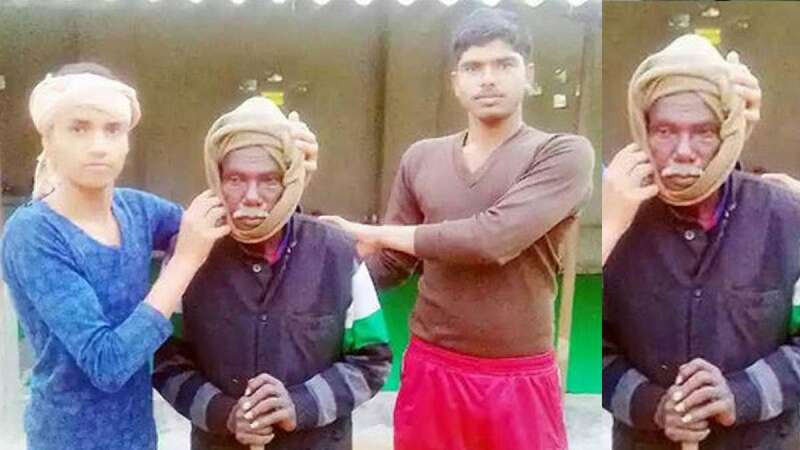 Rae Bareli : World is full of mysteries and surprises, latest to surprise is this beggar from Rae Bareli district in Uttar Pradesh, he has been found to be in possession of Aadhar Card and Fixed Deposit (FD) papers worth over a crore. The reality of man got revealed after the poor condition of beggar caught attention of Swami Bhaskar Swaroop ji Maharaj of Angroom school. The beggar was then provided a shelter in the Ashram. Swami's helpers couldn’t believe their eyes when they found an Aadhaar card and FD documents worth Rs 1,06,92,731 inside his clothes. As per details mentioned on the Aadhaar card, it has been learned that he is a rich businessman hailing from Tamil Nadu. After getting his correspondence through the documents, Swami informed his family members of his whereabouts. Following which, the beggar's daughter came to Ralpur to take her father back with her. While speaking to NBT, Geeta revealed how she lost track of her father 6 months back in a train journey. She claimed her father lost his way and memory probably after coming under the influence of drugs forcefully injected into him. She expressed gratitude towards Swami Bhaskar for taking care of him and reuniting him with his family.